Box Text: Blending high-octane third-person action with immersive and exotic environments, Quantum of Solace puts you in control of Bond's greatest weapon - his mind. Enter the ruthless world of international espionage and become the ultimate secret agent. 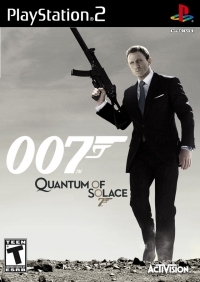 This is a list of VGCollect users who have 007: Quantum of Solace in their Collection. 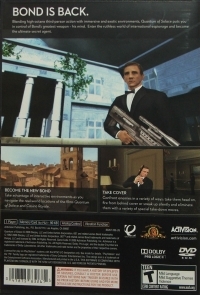 This is a list of VGCollect users who have 007: Quantum of Solace in their Sell List. This is a list of VGCollect users who have 007: Quantum of Solace in their Wish List.